The Samsung Gear 360 (reviewed here) is the most affordable 4k-capable 360 camera but it has some quirks. One issue is that there is sometimes a color difference between the lenses, which makes the stitch lime more visible. 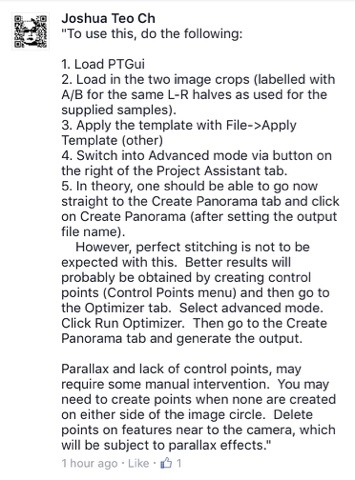 Gear 360 shooter Joshua Teo Ch tried to remedy this issue by using a different stitching program. Instead of using the included Action Director software, he used PTGui. 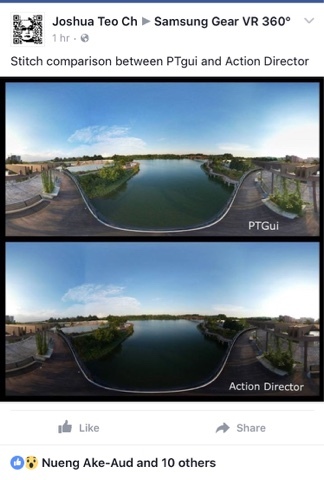 As you can see from the comparison above, PTGui does have a smoother blending between the two lenses, compared to Action Director. Note: Joshua also applied HDR toning. He suggested that if you want to do HDR toning, it should be done at the same time as the stitching for a smoother stitch. You lost me at step 2. Who are you making this for? Explain the language and EVERYONE will understand. Hi ED. The tutorial was made by Joshua. Ask him. Hi Ed, maybe you're just stupid. Go somewhere else for your free information.